This butterfly necklace and earring set is a lovely addition to any jewellery collection. 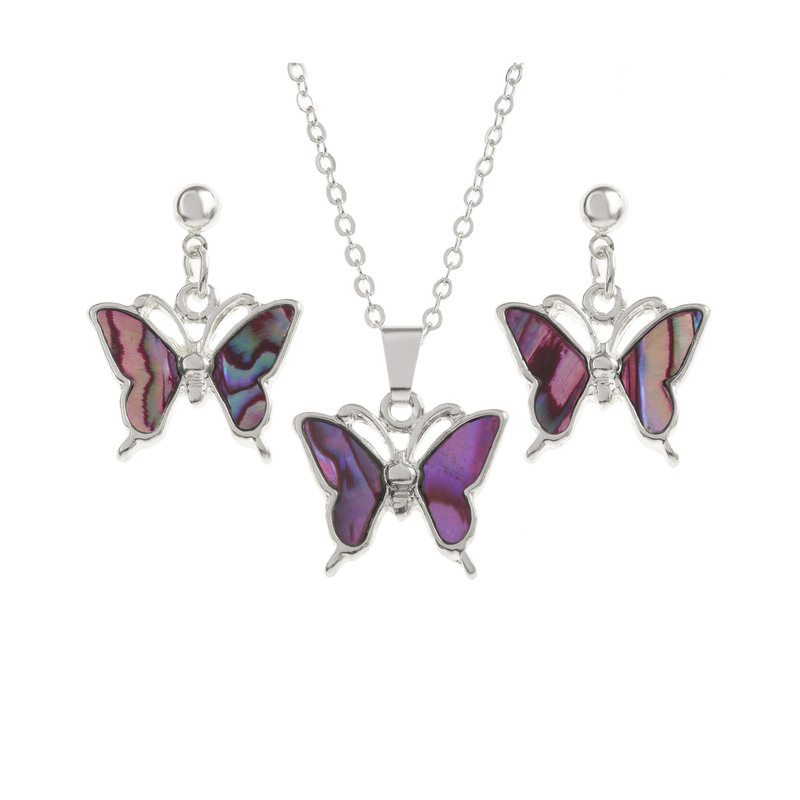 Made from rhodium, the butterfly earrings and necklace have elements made from paua shell. Paua shell is sustainably sourced from the stunning seas of New Zealand, giving the necklace and earrings the distinctive and induvial colouring and patterns, making this a beautiful piece of jewellery. On a rhodium-plated chain and drop earrings, this butterfly jewellery set is a perfect gift for any occasion.